Also, the Golden Gate Bridge is the wrong color and 555 California (the former Bank of America Center) just looks hideous. But I digress. Many commented on the phallic form of Pelli Clarke Pelli's design for the tower formerly known as Transbay back when it was first submitted and selected in 2007. But the finished, shimmering beacon has proven to be a bit more charming and dynamic as the light shifts throughout the day, and after that projection thing comes on in the crown each evening. But LEGO's interpretation is decidedly more crude, and really, what does this thing look like to you? I realize there are limitations inherent in LEGO's building pieces, which don't tend to handle odd and rounded shapes very elegantly. But honestly this looks like a different skyscraper. Apart from the phallic part. 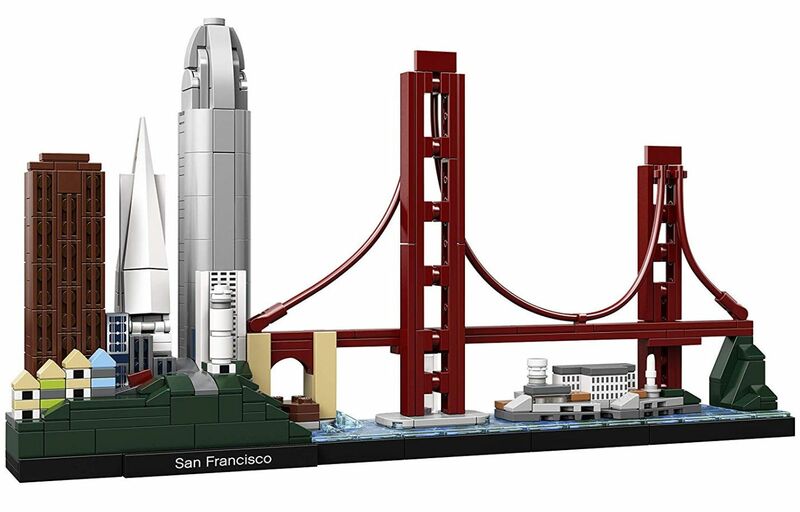 The 565-piece set is going for $40 on Amazon. A 14-year-old girl struck by a car near Lake Merced last month has succumbed to her injuries, the Full House house is going back on the market, and there was another fatal domestic incident in Pittsburg.